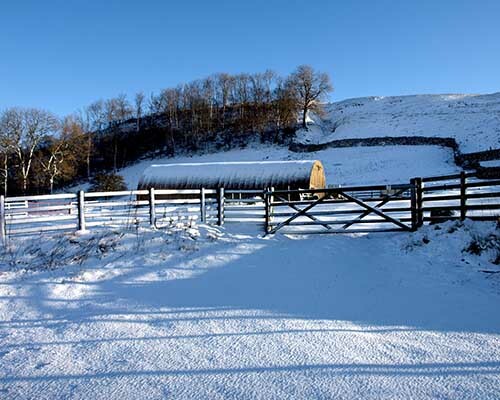 EWDEN HOUSE stands in 20 acres surrounded by open countryside with spectacular views. Situated on the outskirts of Skeeby village, 1 1/2 miles from Richmond, with all its amenities and many famous attractions. There are beautiful country walks with interesting country pubs to relax and enjoy the special Dales brews and good food. In addition you will find this the ideal base to visit the surrounding areas. Thirsk Northallerton, York and being at the gateway to the Yorkshire Dales you’re on the edge of some of the most fabulous countryside. For those who prefer a peaceful and tranquil setting EWDEN HOUSE offers individual self contained double rooms converted from old farm stables (as Ewden House is no longer a fully working farm). 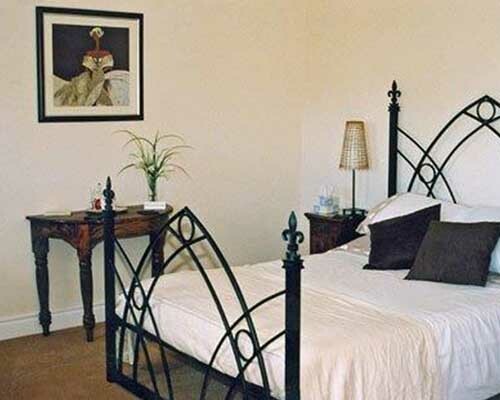 Each of our well appointed ground floor rooms have en-suite, facilities and are individually designed to provide you with comfortable accommodation. They include colour TV, Radio Alarm Clocks Hairdryer, shaving points Tea/Coffee facilities and a choice of bath or shower. We also provide washing and drying facilities essential after those walks in the Dales. If it’s a picnic you enjoy we can provide you with that well stocked picnic basket. All our rooms are non smoking, but guests are welcome to smoke outside overlooking the bowling green.